We've all heard that eating too many salty foods is bad for our health, but what about dogs? A dog's body has the same unique relationship to sodium that a human's body does. The mineral is essential for proper growth and development. 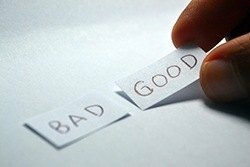 However, too much of it can lead to a host of issues. Much like our own diets, it's imperative for dog owners to find that healthy balance of sodium intake for their dogs. They need enough of it to stay healthy but not enough to develop problems. Generally, dogs can adapt well to varying sodium levels. Their bodies can compensate for changing levels by getting rid of excess sodium they don't need. However, certain health conditions may require a lifestyle change. Before you make the switch to a low-sodium dog food, it's important that you speak with a veterinarian. They'll be able to determine if your pup will benefit from the new diet. If your dog needs to be on a low-sodium diet, there are many formulas to choose from. Here are some of the best options for your four-legged pal. 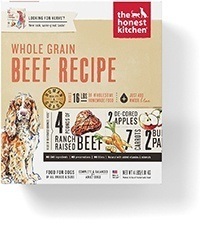 This formula from Honest Kitchen provides a healthy balance between wet and dry food. It's dehydrated for freshness. All you have to do is add warm water. The unique preservation method makes it free of artificial preservatives. It's also free of byproducts and GMO ingredients. Instead, it utilizes wholesome ingredients like beef, organic whole grains, potatoes, blueberries, and much more. It's made in a human-grade processing plant to ensure that your dog gets the very best. It has reduced sodium levels thanks to the lack of unnecessary additives. 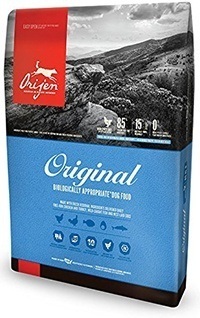 Orijen is known for their high-quality dog food products. This kibble formula is no different. It's completely free of grains that could upset your dog's stomach. The recipe is relatively simple and contains only the essentials. The formula consists of about 0.3% sodium, or 76 milligrams per 100 calories. The main protein sources used are deboned chicken, deboned turkey, and yellowtail flounder. They make up an impressive 38%. There's also a collection of locally-sourced fruits and vegetables thrown into the mix. 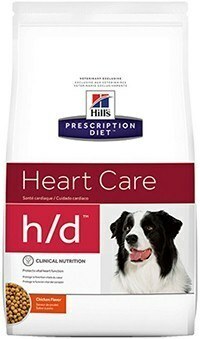 This option from Hill's Pet Nutrition is specifically designed to promote good heart health. It can benefit older dogs that already suffer from a heart condition. One of the ways it does this is by reducing the amount of sodium in the recipe. It can help to control your dog's blood pressure and support healthy heart function. Some unique beneficial ingredients include taurine, L-Carnitine, and Vitamin-B. From Royal Canin is this heart-healthy dry kibble. 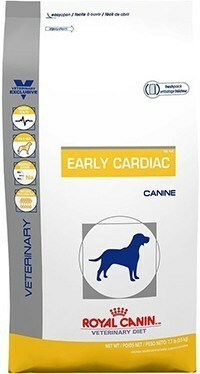 It contains a bevy of ingredients that can help enhance your dog's overall cardiac health. It has a low sodium content of about 0.33%. The decreased sodium levels can regulate blood pressure. Chicken meal and fish meal are used as the primary protein source. It doesn't have any potentially harmful MSG or chemical preservatives. Instead, it has natural alternatives and a healthy dose of Omega fatty acids that can prevent tissue inflammation. 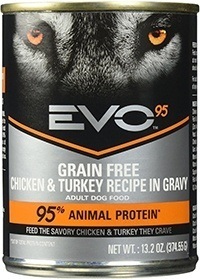 If you're looking for a high-quality canned wet dog food, consider this option from EVO. The formula is made up of natural ingredients that are suited for any dog. Protein makes up approximately 10.5% of the recipe. 95% of that protein is animal meat like chicken and turkey. Each ingredient is easy to digest, so there's no harmful grains or unnecessary additives. The sodium content of this wet food is very low. It only has 0.11%. For added benefits, the food also contains a healthy mix of vitamins and nutrients. 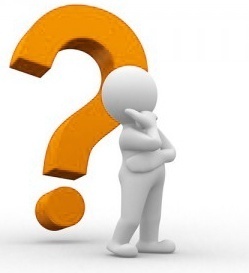 ​​When is Low-Sodium Food Necessary? As mentioned earlier, dogs need sodium to thrive. It's an essential mineral that aids with many vital bodily functions. It can regulate blood pressure, maintain pH balance throughout the body, and help transmit nerve signals. A low-sodium dog food is typically recommended for pups that are suffering from a health condition. Issues with the heart, liver, kidney, and gastrointestinal tracts can be worsened with too much sodium. This condition affects the way water is absorbed by the body. Dogs that suffer from Hypernatremia lose a significant amount of water in the gastrointestinal tract. This loss can affect their entire body. If left untreated, it can lead to high blood pressure and heart disease. The condition is often caused by excessive sodium intake. ​Another condition that may require a decrease in sodium consumption is congestive heart failure. This issue affects the way blood is pumped through the body. It can also cause excess fluid to build up. There are many forms of congestive heart failure. A dog's heart can have issues on just one side or with certain valves. Either way, this issue can be life-threatening and too much sodium can worsen the problem. Symptoms of congestive heart failure can be a bit more subtle. Your dog may experience difficulty breathing or excessive coughing due to that buildup of fluids. They may also get tired easily or have trouble breathing. When you're searching for the right recipe for your furry friend, there's a lot to consider. Beyond the low-sodium ingredients, you need to make sure that the basic composition of the food is right for your dog. This will vary based on your pup's size, breed, and age. You'll need to make sure that the food can provide your pup with all the essential nutrients that they need to stay healthy. Protein is the most important thing to look out for when you're shopping for any type of dog food. Dogs are carnivores and need a healthy supply of meat to ensure that their bodies can stay fit. Protein should be the first ingredient listed. It needs to be the most prevalent ingredient in the recipe. With that being said, go with wholesome ingredients that are easy to identify. Options like deboned chicken, beef, lamb, or fish are best. Meat meals are also fine if it's used as a supplement to the whole protein source. This is true as long as the specific meat used is identified. The more specific the ingredients list, the better it will be for your pup. Carbohydrates can be a valuable source of additional nutrients and minerals. However, some ingredients are more beneficial than others. Complex carbohydrates include sources like sweet potatoes, flaxseed, and whole grains. The energy they produce is burned slowly over time, which can help to avoid a blood sugar spike. The rest of the ingredients in a commercially-available dog food will vary dramatically from manufacturer to manufacturer. The key is to look out for items that will directly benefit your dog. A healthy dose of vegetables and fruits will give them all the things they need to stay healthy. If your dog is suffering from other ailments, keep an eye out for things that can treat it. For example, fish oil contains Omega Fatty Acids that can keep your dog's skin healthy while glucosamine can help keep the joints strong. Dogs that suffer from sodium-related health issues are prone to weight changes, so it may be a good idea to look for formulas that are specifically designed to help your pup drop the pounds. Many weight management recipes are low in sodium already. Make sure to speak with your vet prior to changing their diet to make sure that it's a healthy option. While you're scanning that ingredient list to make sure that a formula is healthy, there are some things you need to avoid. These ingredients can exacerbate your dog's sodium problem and cause more issues to occur. Also known as MSG, this ingredient shouldn't be supplied to your dog. It's a sodium salt that's used in many foods. It can be found in fatty junk snacks and cheaper dog foods. The ingredient is commonly used in processed foods, so you need to make sure that your formula doesn't contain any of it. One of the biggest MSG offenders is dog treats. If you like to reward your pup on a regular basis, go for low-sodium snacks that are MSG-free. Nitrates are basically a salt that's used to preserve food. You'll find them in cured meats like bacon or deli ham. It gives those meats their signature flavor and helps to prolong their shelf live. They contain very high levels of sodium, so they should be avoided at all costs. It's worth mentioning that dogs shouldn't be supplied with human food. 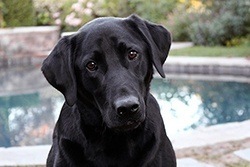 While you can certainly create your dog's food from scratch, letting them nibble on that stray piece of pizza or chip that you dropped on the floor is not a good idea. Human food can do a lot of harm to a healthy dog's body. For dogs that need to be on a low-sodium diet, it's even worse. Most human foods, especially those that are processed, are filled with unhealthy salt. There are both dry and wet foods with low sodium available. The decision to go with one type of food over the other depends on a number of factors. First, you should consider your dog's health and preference. Dry kibble is ideal for dogs that have no problem chewing their food. The texture of the kibble helps to keep the teeth clean. However, if you have an older dog, you may want to consider canned food. The softer consistency makes it easier to gulp down. Wet food also has a much higher moisture content than kibble. This can be an advantage for dogs that have a sodium-related ailment. Wet food will keep your dog hydrated for much longer. However, canned varieties tend to have more fat. In most cases, you'll also have to supply your dog with more wet food to achieve the same nutritional value as kibble. Speak with your dog's vet to see which option is best. Supplying your dog with a formula that's low in sodium can provide them with a number of benefits. Not only can it help manage a range of conditions, but it can work wonders on your dog's overall health. Too much salt can lead to dehydration in dogs just as it can with humans. By cutting back on the sodium, your dog can stay hydrated throughout the day. This will help your pooch avoid drinking too much water. Too much water can affect their circulatory system and kidney health. It can also lead to persistent diarrhea. A low-sodium diet will allow them to retain more water to thrive. One common issue that's caused by high levels of sodium is high blood pressure. High blood pressure can lead to a number of heart conditions, strokes, and heart attacks. Switching to a low-sodium diet can help regulate their blood pressure. This will benefit their heart and various organs throughout the body. Senior dogs are susceptible to many maladies. They can suffer from osteoporosis, poor nerve function, and muscle issues. Osteoporosis can lead to fragile bones while nerve and muscle problems can cause immense pain as they move. Decreasing their intake of sodium can help to prevent these conditions from occurring and help to alleviate the symptoms in older dogs that already have them. The right amount of sodium your dog needs to stay healthy depends entirely on your dog's health, size, weight, and breed. Generally, dogs shouldn't consume any more than 100 milligrams of sodium per 100 calories they eat. One of the best ways to control how much sodium your dog is consuming is by looking at the percentage of the food. Making the switch to a low-sodium diet can be a great change for your canine companion. With the many great food options available, it won't be difficult for your dog to adapt. Your dog will be none the wiser and you'll be able to keep their health in check.